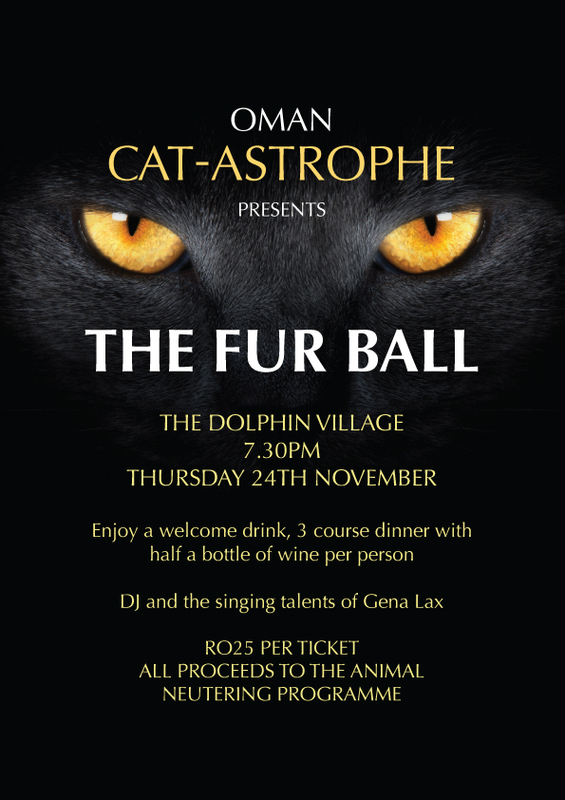 Those cat loving people are at it again with their fundraising with a Fur-Ball being held at the Costain Dolphin Club this November 24th. 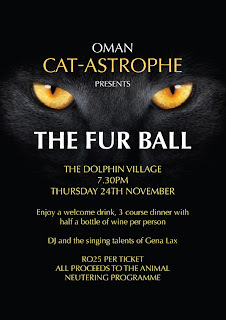 Tickets are RO 25 and cover food, some drink and music entertainment - all proceeds go towards the animal neutering program. Once a cat can't reproduce.... the cat "problem" is reduced - so please help them out! You can more information from their facebook page. Have a nice week everyone!